That is the question 7th - 12th grade students will answer as they stand up for Life and compete for cash prizes as part of National Right to Life's 2013 Pro-Life Essay Contest. Prizes are awarded for both the junior essay contest (grades 7-9) and senior essay contest (grades 10-12). 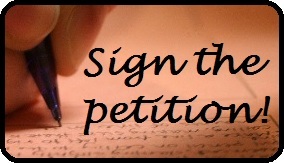 Pro-Life essays should be submitted between December 17, 2012 and January 18, 2013. More detailed contest rules are available here [PDF information sheet]. Emma Tiner, a student from Richmondville, NY, tied for first place in National Right to Life's 2012 Pro-Life Essay Contest at the senior level. Emma is a homeschool student who will be in 12th grade this fall. Emma is one of seven students who served as peer leaders at NYS Right to Life's 2012 Camp Esther. NYS Right to Life congratulates Emma! You can read her winning essay, "Living With the Heartless Indifference Caused by Freedom of 'Choice'" here. NYS Right to Life congratulates Flavio Zen Mulero on winning 2nd place in the 2011 Junior Essay Contest! Flavio is a student from the Bronx. In addition to his cash prize of $150 from National Right to Life, NYSRTL awarded Flavio a scholarship to attend NYSRTL’s 2011 Camp Esther.